In 1992 the Fantoft Stavkirk in the borough of Fana in Bergen, Norway burned to the ground. Originally erected in the mid-12th century in Eastern Sognefjord, and then transported in the 19th century to its present location, it was the first in a string of church burnings to take place in the early 1990s. A stavkirk, or ‘stave church,’ gets its name from a type of medieval construction that consists of a timber-framed post and lintel design. Once found throughout northern Europe, the majority of those still in existence are only found in Norway. The term ‘stav’ refers to the load-bearing posts that hold the structure in place. Though rebuilt, the Fantoft Stavekirk still shows signs of its destruction, particularly the chain link fence that surrounds the structure and the warning signs about alarm systems and closed-circuit recordings. In 1994 Varg Vikernes (born Kristian Vikernes) was convicted for burning, or attempting to burn, the Åsane and Storetveit Churches in Bergen, the Skjold Church in Vindafjord, and the Holmenkollen Chapel in Oslo. He was also sentenced for the murder of Øystein ‘Euronymous’ Aarseth. 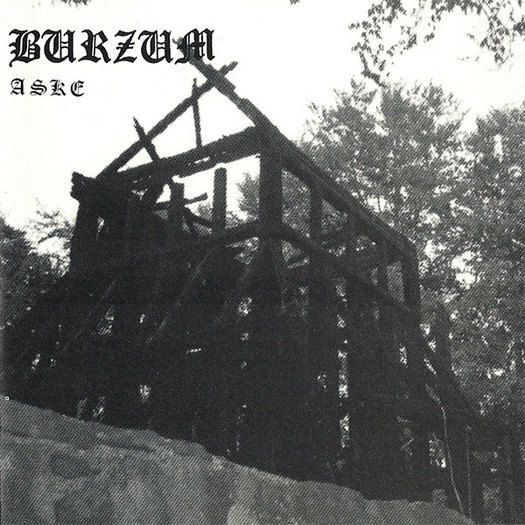 He was found not guilty of burning the Fantoft Stave Church, but has been connected to the arson both for his support of the act, as well as for the image of the burnt structure used as the cover of his album, ‘Aske’ (‘ashes’ in Norwegian). Accusations of Satanism as the reason for these burnings have been generally established. This derives heavily from the type of ‘Theistic Satanism’ espoused by the members of the early Norwegian black metal scene, such as that promoted by bands such as ‘Mayhem,’ ‘Emperor,’ ‘Thorns,’ and Vikernes’ ‘Burzum.’ Also known as the ‘Black Circle,’ this group of individuals established an ideological discourse of misanthropy, an inverse Christianity that focused more on promoting ‘evil,’ rather than on any sort of Satanic philosophy. The work of Asbjørn Dyrendal in the Department of Philosophy and Religious Studies at the Norwegian University of Science and Technology in Trondheim. The doctoral work of Cimminnee Holt at Concordia University, Montreal. Michael Moynihan’s book on the subject, The Lords of Chaos. The work of Jesper Aagaard Petersen in the Programme for Teacher Education at the Norwegian University of Science and Technology in Trondheim. The work of Titus Hjelm at the University College London’s School of Slavonic and East European Studies. The 2008 film ‘Until the Light Takes Us,’ which chronicles the black metal movement’s ideologies. While there is much to be said about the accuracy of this casual assurance, regardless of the intricate discursive details that could support or refute its simple categorisation, it reminded me of a theory I put forth a few years ago in a paper presented in a seminar at Baylor University in Waco, Texas. As occurred on occasion during this time, and a bit over the years since, I have found myself unwittingly defending Atheism against accusations of seemingly bizarre connections. One of these, which does not happen often, but still with enough occurrence that it warrants a bit of a chuckle, is the idea that Atheists believe in/worship/support Satan/Satanism. In their defence, these individuals’ ideas are likely the result of discursively combining what they deem as ‘evil’ into a singular abstraction. For them, Atheists have denied God, and are thus evil, just as Satanists have taken up with God’s opposite, and are thus equally evil. Regardless of the fact that an individual who denies the existence of God might still believe that God’s opposite might then still exist is a bit logically absurd, this sort of thinking is more about categorising an individual as an opposite of oneself, rather than constructing any sort of accurate description. This got me thinking, partly because I was asked to be the contrarian in the room for these seminars, the voice of opposition or devil’s advocate that might inspire more passionate discussion. Is there a connection between Satanism and Atheism, beyond the shared similarity of ‘evilness’ in the eyes of certain individuals? That is, is there a connection beyond this sort of generalised stereotype? So, I looked at two origins of each term: the first derived from a particular means of defining a particular discursive example of Atheism, and the second from the context of its usage in both the Hebrew and Christian Bibles. As I’ve written about previously, the concept ‘Atheism’ is one that is not easily determined, regardless of the fact that we might perceive it as such due to the inherent nature of it being the ‘belief (or absence of belief) in the existence of God.’ In fact, the history of its definition is one of abstraction and creativity, demarcated by historical representations and theoretical stipulations. What this equates to is a discourse that is not altogether cohesive. Which is neither a bad thing, nor is it in any way detrimental. That is, of course, as long as we are not set on defining the term in a manner that might be representative of any and all types, uses, and iterations. If this is our goal, then this becomes quite an issue. Which might explain why we have so many additions to the latter, theoretical, category. Instead, if we focus our attention on the historical definitions, that is, the definitions of the term based on real people in real places and at real times, either called ‘Atheist’ or who identify as such, then we turn toward discursive interpretations. These are ‘definitions’ that are neither ‘right’ nor ‘wrong.’ Instead, they simply exist as examples, as contributions to a larger discourse about what we mean when we talk about Atheism. Within this category we find examples of what has been demarcated as ‘ancient Atheism,’ labeled as such in regard to the way it differs from ‘modern Atheism.’ While this is a discussion that will likely re-occur throughout this particular discourse on the subject, to summarise, this differentiation is made by two specific actions: imputation and self-description. In cases of the former, Atheism is a term used to describe an other, particularly an other who, through his beliefs and arguments, has acted against the status quo of the state. These individuals are deemed ἄθεος. In etymological terms, they are ‘without god.’ Now, this takes on a number of different types of ‘absence,’ from Socrates’ corruption charge for turning the youth of Athens away from worshipping certain gods, to Milesian philosophers like Prodicus of Keos who used philosophical logic to argue that the gods were in fact, as Euripides’ Sisyphus also argues, created by man to make sense of one’s day-to-day needs. One of the underlying themes of this ‘ancient Atheism’ is a sense of doubt. This doubt, likewise based on the individual expressing it, fluctuates from mere hesitation in believing something outright, to more direct rejection or disbelief. 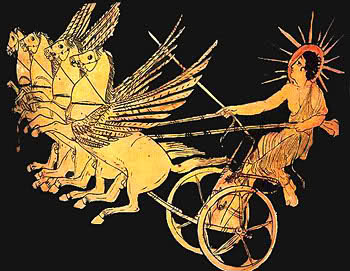 We see this evinced by philosophical arguments that we might, from a modern perspective, deem ‘Atheistic.’ For example, consider Anaxagoras’ argument that the sun, rather than the god Helios moving across the sky, is in fact just a molten ball of iron. Or the naturalistic arguments of Thales, Anaximander, and Anaximenes who defended the idea that nature and the natural world could be understood without an allegiance to mythology. These are unique types of doubt, reflective of individuals who questioned the prevailing or popular beliefs of their time. As discursive examples of ἄθεος these illustrations of doubt lead us to the notion that Satan, as a concept itself, embodies a particular type of Atheism. The angel of the Lord asked him, ‘Why have you beaten your donkey these three times? I have come here to oppose you because your path is a reckless one before me. But the Philistine commanders were angry with him and said, ‘Send the man back, that he may return to the place you assigned him. He must not go with us into battle, or he will turn against us (opponent, שָׂטָן) during the fighting. Again, this notion of ‘Satan’ as ‘adversary is repeated in 2 Samuel 19:35 (“This day you have become my adversaries!”); 1 Kings 5:4 (“But now the Lord my God has given me rest on every side, and there is no adversary or disaster.”); 1 Kings 11:15 (“Then the Lord raised up against Solomon an adversary”); and 1 Kings 11:23 and 11:25. While these examples represent an adversarial or oppositional position, in the Book of Job, the term is not only embodied by an individual (Satan-as-character), it is also imbued with the overall sense of doubt that becomes commonplace with the concept itself. In this manifestation שָׂטָן becomes a necessary entity for God, a position of Devil’s advocate, without whom God would not be able to prove the fealty of His creation. In the Gospel narratives, this doubtful characteristic becomes something more personal and direct, a character (known here also as ‘Devil’ or ‘διὰβολος’) who exists in order to once again present a pragmatic challenge, the resolution of which assists in directing the narrative itself toward a certain conclusion. In Matthew 4:1-11, Mark 1:12-13, and Luke 4:1-13 Satan (σατανᾶ) directly tempts Jesus in the desert, a necessary evil in order to further determine Jesus as the Christ, an act of identity formation wherein a certain individual is defined by his interaction with an opposition. Later, this same sort of oppositional necessity is depicted by Luke 22:3 and John 13:27 in the act of Satan ‘entering’ Judas, thus causing his betrayal. In this way, Satan acts as a conceptual entity, the notion of Judas here enacting a necessary deed in order to fulfil the prophecy of Christ as a sacrificial lamb. Though this appears as the ‘work of Satan,’ we might also see it as the work of doubt or opposition. As a narrative device, the notion of ‘Satan,’ a title that functions as a pun, creates a dichotomous relationship between certain characters. Almost mimetic of metaphorical or allegorical character development within a milieu prepared and designed for such formational interactions, the idea of Satan is one of narrative utility. In combining the lexical process of being deemed an ἄθεος (scepticism, doubt, critical debate) with the doubt, opposition, and adversarial nature of Satan (שָׂטָן; διὰβολος) we might confortably conclude here that Satan is, in fact, a representative sort of Atheism. Which brings us back to the Fantoft Stave Church, its demise at the hands of ‘Satanists,’ and my friend’s assurance that ‘at least he was a Satanist, not an Atheist.’ In this sense, my friend was in fact incorrect. Etymologically speaking, or even conceptually speaking, Satan is an Atheistic character, designed for the sole purpose of driving along the narrative toward a particular conclusion. Satan is, in this manifestation, not only an Atheist, but a necessity as well. My theory, then, might be summarised as such: as a discursive concept, and when interpreted from within the context in which it was established, the notion of ‘Satan’ shares enough of the characteristics that we might find in certain discursive manifestations of Atheism. In this way, Satan was an early Atheist. Does this make any sort of modern Satanist an Atheist? No. After all, discourses are plastic things, and they change and alter over time. Just as ‘Atheist’ has come to mean a number of different things to a number of different people over the millennia, Satan has as well. Of course, I might argue on the side of the illogically absurd notion that since these two concepts, when isolated within the borders of certain Western monotheistic milieux, originated from similar sources, and are thus inextricably linked to a distinct genesis. Then again, that might just be me playing devil’s advocate again. Jan M. Bremmer, “Atheism in Antiquity” in Michael Martin, ed. The Cambridge Companion to Atheism (Cambridge: Cambridge University Press, 2009). Michael J. Buckley, “Introduction” in Michael J. Buckley, At the Origins of Modern Atheism (New Haven: Yale University Press, 1990). A.B. Drachmann, Atheism in Pagan Antiquity (Chicago: Ares Publishing, 1922). David Ferguson, “Atheism in Historical Perspective,” in David Ferguson, Faith and Its Critics (Oxford: Oxford University Press, 2009). Donald E. Hartley, ‘HEB 11:6—A Reassessment of the Translation ‘God Exists’ (Trinity Journal, 27, 2, 2006). Charles H. Kahn, “Greek Religion and Philosophy in the Sisyphus Fragment” (Phronesis. Vol. 42, No. 3, 1997). John Navone, “Satan Returns,” (The Furrow, Vol. 26, No. 9, 1975). Elaine Pagels, “The Social History of Satan, the “Intimate Enemy”: A Preliminary Sketch,” (The Harvard Theological Review, Vol.84, No. 2 Apr., 1991). Elaine Pagels, The Origin of Satan (New York: Vintage Books, 1996). J.P. Reid and B. Mondin, eds., “Atheism” in The New Catholic Encyclopedia (Washington D.C.: The Catholic University of America, 2003). The Bible: The New International Version.